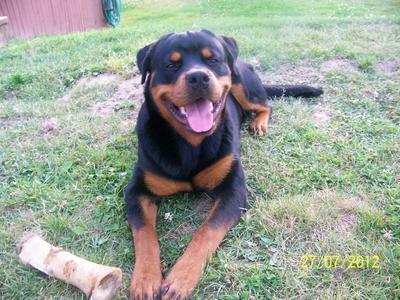 Panzer is a CKC Registered pure bred Rottweiler. He is now 10 months old. Panzer is our first Rottie and we are in love!